The official website for 21-year-old singer-songwriter Sonoko Inoue has posted a four-minute full music video for her latest song "Kotonoha no Omoi" from her third full album "Shiro to Iroiro" to be released on May 29, 2019. The song is now featured as the OP theme for the TV anime adaptation of Masakuni Igarashi's senryu-themed romance comedy manga Senryu Girl. 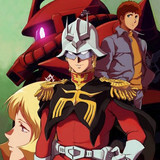 The Gundam the Origin series is coming to Crunchyroll with the announcement of simulcast plans for MOBILE SUIT GUNDAM THE ORIGIN Advent of the Red Comet, which officially launches on April 28. Read on for more! Crunchyroll is excited to announce even more titles to its ever growing Spring simulcast lineup, with YU-NO, Million Arthur Season 2 And MIX being the latest additions. Hit the jump for the details. 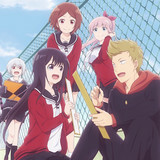 Crunchyroll announced five more shows for the Spring 2019 simulcast lineup tonight! The latest additions are Senryu Girl, Ao-chan Can't Study!, NAMUAMIDABUTSU! -UTENA-, Why the hell are you here, Teacher! ?, and KING OF PRISM -Shiny Seven Stars-. Read on for all the timing and territory details. Crunchyroll has another series joining its simulcast lineup today! The latest is Wacky TV Na na na 2nd season, which launches at 6:00am Pacific Time for members worldwide excluding Asia and the Middle East. Read on for more. According to Mantan Web's report, the first two chapters of the four-chapter KING OF PRISM -Shiny Seven Stars- film edition have earned 200 million yen on 130,000 admissions since its opening on March 2. 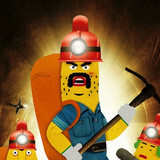 Its 12-episode TV anime edition also premiered in Japan on April 8. Hit the jump for more information. 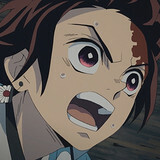 Aniplex announced on April 9 that Kimetsu no Yaiba: Kyoudai no Kizuna (The bond between a brother and a sister), a special compilation film based on the first five episodes of the TV anime, took the No.1 position for two consecutive weeks in the mini theater box office ranking reported by Kogyo Tsushinsha. Hit the jump for more details. 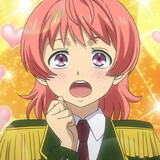 The latest Spring 2019 anime announcements from Crunchyroll are a couple of heavy hitters, including the latest from director Kunihiko Ikuhara and the return of a fan favorite. 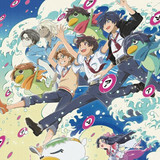 Read on for more about Sarazanmai and the third season of Bungo Stray Dogs! 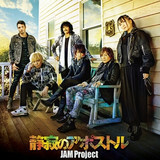 Lantis' official YouTube channel has posted a 80-second music video for anison unit JAM Project's 70th single song "Seijaku no Apostle" to be released on April 24, 2019. The rock tune is used as the OP theme for the highly anticipated second season of the TV anime One-Punch Man. See their latest MV performance after the jump! 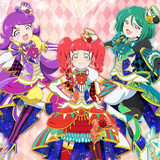 The highly-anticipated new season focuses on the "Jewel Audition"
On the premiere day of its highly-anticipated second season on Sunday, the official Twitter for the TV anime Kiratto Pri☆Chan posted a new costume visual of Meltic StAr, one of the franchise's main idol groups, consisting of Anna Akagi, Sara Midorikawa, and Mel Shido. Check out their new gorgeous costumes after the jump!